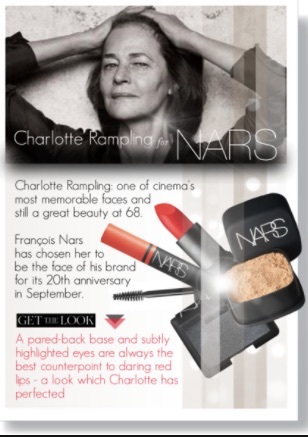 When actress Charlotte Rampling was in her late 60s, she starred in Nars cosmetics ads. 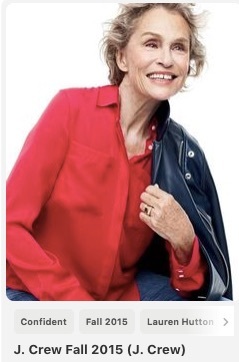 Slightly younger at 64, Jessica Lange was hired by Marc Jacobs while Lauren Hutton, in her 70s, was a face for J. Crew. You can see that the common denominator is age. 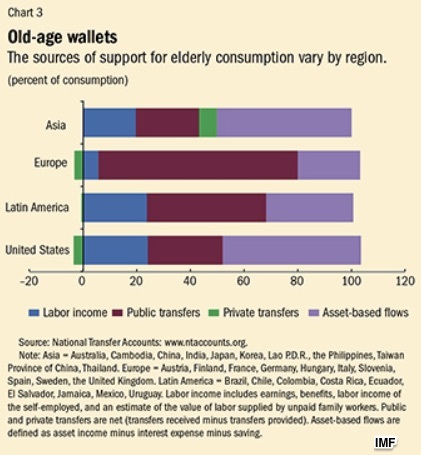 These firms are very aware that an increasing proportion of the people who live in developed countries are old. 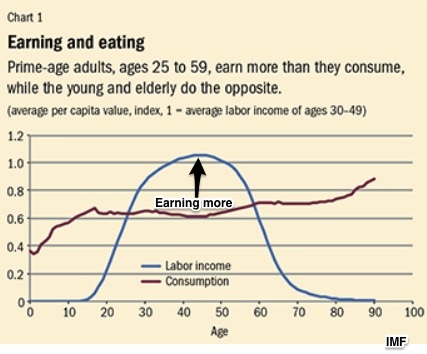 They want to target a “mature” woman with money to spend and youth to preserve. Where are we going? 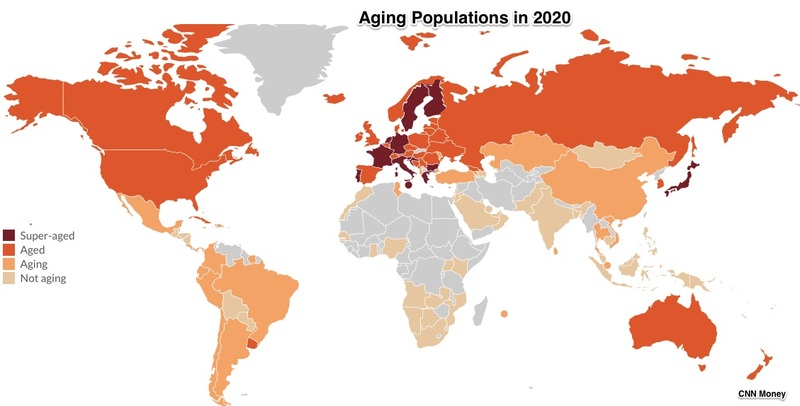 To aging in a small NJ community, in the U.S., and then around the world. Near me in Hunterdon County, many of the homes are on sprawling woodsy acreage. Ranked #6, their median household income is among the nation’s highest. But they have a problem. In communities like Hunterdon County, they have more people dying and fewer giving birth. During the past 20 years, the ratio of births to deaths has flipped. While they had 3590 newborns and 3647 deaths from 2013 to 2016, during the late 1990s, there were 5882 births and 2847 deaths. Like 1700 other counties in the U.S., Hunterdon is worried about its demographic. They want younger families to fill the schools, pay the taxes, and occupy the jobs. But a higher birthrate is as unlikely as an influx of immigrants. 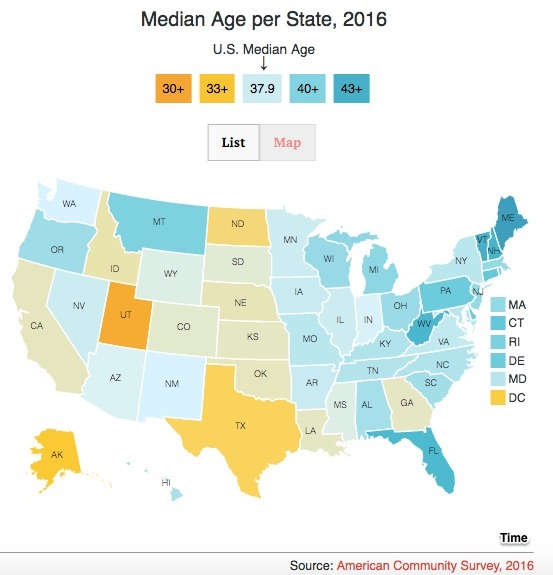 In addition, older households are moving to the South and West while Millennials are displaying an affinity for city living. And finally, let’s look at the world. Where have we wound up? With the wallets in the last graphic paying for the cosmetics and clothing that we started with. My sources and more: Perfect for the local impact, the NY Times had the Hunterdon County example, FT had the ad story, and the IMF had an excellent overview report. I recommend all. This post was slightly edited after publication.